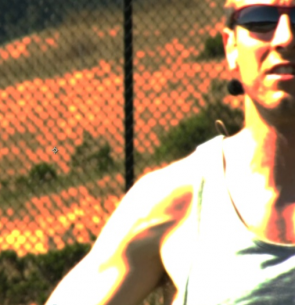 DAVE SHEAHAN is a plant based vegan triathlete, High Performance Coach and Founder “Go Vegan Grow” working with individuals, athletes and corporations in achieving sustained high performance and realising their full potential. Adopting and following a wholefood plant based lifestyle forms a major part of all of Dave´s coaching programs. Coming from a bodybuilding and personal trainer background the idea of going vegan was not just alien but plain crazy up to 2005 when his son was born and it was decided that he would be raised vegan. Watching his child´s incredible development on a plant based vegan diet made Dave take notice and over a number of years researching he made nutritional changes until making the decision to adopt a 100% wholefood plant based diet on 1st January 2012. This also lead to Dave founding Go Vegan Grow which educates and supports both vegans and non vegans in successfully adopting a plant based lifestyle through books, trainings, membership site and events. Competing as a Vegan Triathlete and working as a High Performance Coach means improved performance and recovery are of prime importance to Dave both personally and with his clients. In following and recommending a plant based lifestyle both areas have improved dramatically as well as Dave witnessing many health conditions, pains and injuries disappear as a result of nature´s diet. Dave is a serial entrepreneur, has been a Body for Life Champion, Coach of Body For Life Champions 5 years running, NSCA International Competitions Coach For Ireland, shortlisted for UK Gladiators and has completed many events including the New York and Paris Marathons before putting his sole athletic focus on competing as a plant based triathlete. Panel hosted by Dave Sheahan. Panel: "Where do you get your Protein from?" In this seminar Dave Sheahan will share the 5 simple easy to implement steps he uses with his clients all over the world in successfully adopting a vegan lifestyle. Dave will destroy the myths about difficulty in food and meal choices and that grocery shopping is a minefield. Dave will share details of how he transitioned to a vegan lifestyle january 1st 2012 and share details of his shopping and daily nutritional habits as well as those of his clients all over the world.